Join local author Patricia Boomsma as she launches her new historical novel. The Way of Glory considers the effects of religious warfare on ordinary people in the middle ages and asks whether kindness can survive holy war, a question still being asked a thousand years after the Crusades began. Cate, a fourteen-year-old girl in twelfth-century Bristol, lives an insular life during the English Civil War, known as the Anarchy. She's protected by her family, Bristol's high walls, and the army of Robert, Earl of Gloucester. Her life begins to change when she finds the body of a young boy, Oxa, along the banks of the Frome River. The townspeople and her priest accuse the local Jewish community of Oxa's murder, and at Oxa's funeral, the local priest inflames the town's prejudices and inspires Cate to join her Aunt Mary and brothers Sperleng and Willard as they leave to fight the Saracens in Jerusalem. The family joins a large fleet of armies from northern Europe as it sails from Dartmouth toward the Holy Land. On their way, the armies join Portuguese and Spanish Christians trying to expel the Moors from Hispania. Cate assumes the warriors have religious motivations but soon discovers many are looking for adventure, wealth, and a free pass to heaven. Life on a battlefield strains the family's closeness as they face the terror and contradictions of holy war. As the battles continue, Cate must decide how to live in a harsh and dangerous new country. Her friendship with a conquered Moor forces her to make impossible choices as she faces the cost of betrayal and the loss of all she's known. PATRICIA BOOMSMA is an Arizona lawyer. 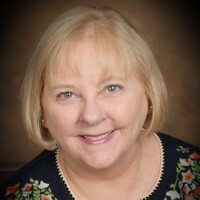 Her publications include short stories in The Vignette Review, Persimmon Tree, and Scarlet Leaf Review and poems in Haiku Journal and Indolent Press. She did graduate work in medieval studies at Purdue University where she received an M.A. in English, and has a J.D. from Indiana University in Indianapolis and an M.F.A. in Creative Writing from Queens University of Charlotte. This is her first novel.